The Executive Leadership Academy (ELA) is a nine-month training session designed to build the leadership capacity of the local nonprofit sector by providing a unique opportunity for executive directors to gain world-class leadership and coaching skills. The program matches participants with professional executive coaches and provides a collaboratively designed curriculum to meet the specific needs of the class. A requirement of acceptance to the Academy is that participants are willing to consider becoming coaches/mentors for new or less experienced executive directors in the community. The next session of the Executive Leadership Academy will begin in January 2020. The Center for Creative Leadership (CCL) which provides meeting space and a number of professional coaches. Joseph M. Bryan Foundation, Community Foundation of Greater Greensboro, Cemala Foundation, Reich Family Foundation, and Weaver Foundation. They provide the funding that enables the Consortium to operate, including Academy expenses. 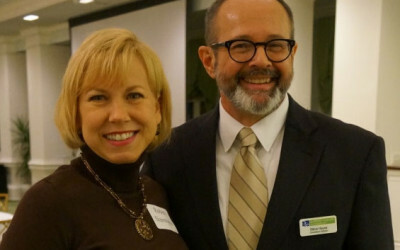 The Guilford Nonprofit Consortium raises funds to support the Academy and Consortium staff and volunteers provide administrative support for the program.